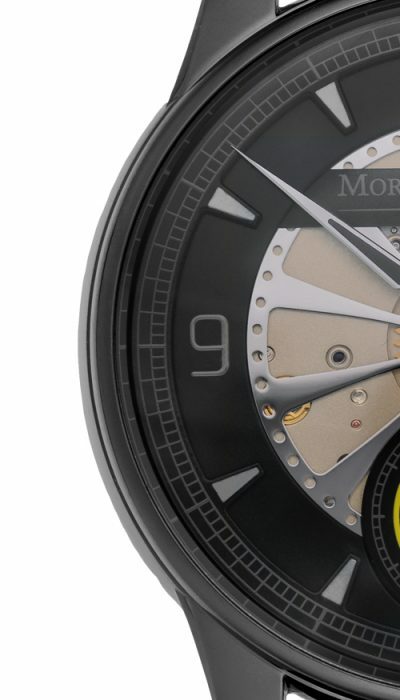 What do lovers of hypercars and handcrafted fine mechanical watches have in common? Both are united by a sense of perfect beauty combined with uncompromising functionality and precision. With its 5000 horsepower, the 16-cylinder record-breaking Devel Sixteen is currently the most powerful hypercar in the world. The independent Glashütte watch manufactory Moritz Grossmann and the company – Defining Extreme Vehicles Car Industry – from Dubai present the new DEVEL 16 watch. 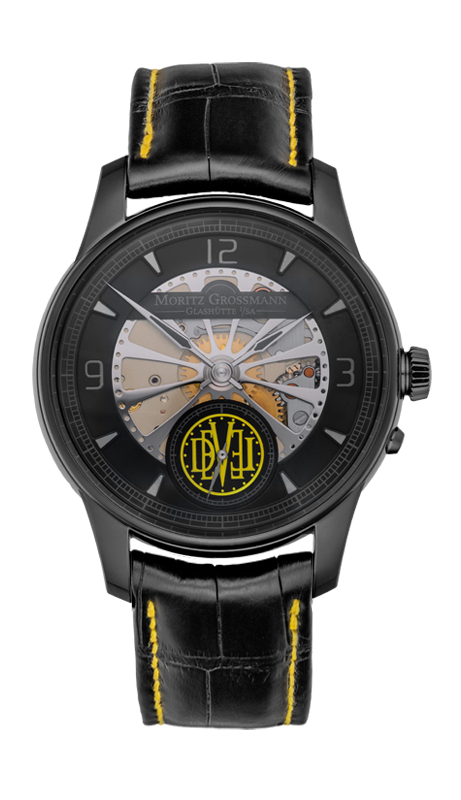 The Moritz Grossmann DEVEL 16 boasts a blackened stainless steel case. Inspired by the number of cylinders in the Devel Sixteen sports car, there is to be a limited edition of 16 watches. The DEVEL 16 dial is designed in polished stainless steel to match the rim of the Devel Sixteen sports car. The openings between the rim spokes allow a view of the calibre 100.1 in the High Artistic Finish. The surface of the spokes and the rim edge appears immaculate due to the mirror polishing. Depending on the viewing angle, it either shines black or reflects the light like as a mirror would. A yellow Devel Motors logo graces the subsidiary seconds on a black background with a fine yellow border. The yellow stitching of the black leather wristband matches the colour in perfect harmony. Discover everything about the heart of the DEVEL 16.